William E. Focht, Sr. of Warrington, PA, passed away surrounded by his loving family in Doylestown Hospital on April 7, 2019 at the age of 67, one week before his 68th birthday. William (Bill) was the beloved husband of Joanne R. (nee DiBerardino) Focht with whom he had shared over 44 years of marriage. He was born in Willow Grove, a son of the late Walter and Dorothy Focht. In addition to his wife, Bill is survived by three children; Wendi J. Jacobs and her husband Jon; Kristi McMillan and her husband Michael; and, William (Billy) Focht Jr. Bill was beloved Poppy to four grandchildren: Ashley, Cody, and Connor McMillan and Darren Jacobs. In addition, he is survived by his mother-in-law, Antonetta (Connie) DiBerardino; and Joseph (Joe) and Donna DiBerardino, his brother and sister-in-law. Bill is also survived by many nieces and nephews. He was preceded in death by two brothers Walter “Skip” and Wayne Focht. Bill was a U.S. Air Force Veteran proudly serving in the Philippines during the Vietnam War. Additionally, Bill served on the Funeral Honor Guard Detail which honored deceased U.S. Airmen returning from Vietnam. An IBEW Local 98 electrical foreman, he retired from Vasoli Electric Co. in Oreland, PA, and previously had been an employee of Carr & Duff, Inc. in Huntingdon Valley. 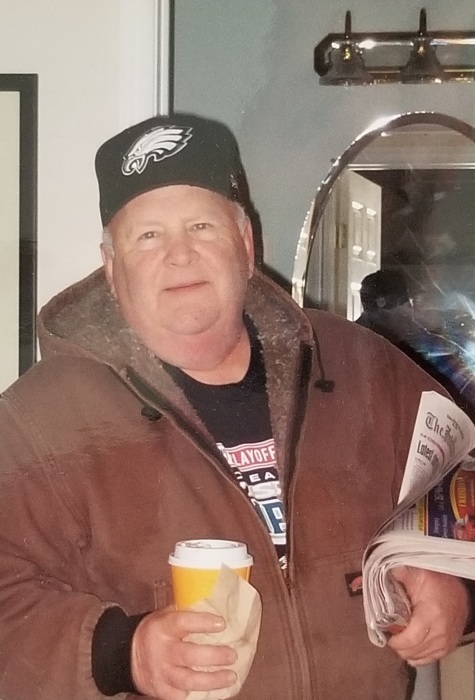 Bill was a lifelong Philly sports fan, who took great pride in seeing the Eagles win the Super Bowl and in working on the electrical systems of Veteran’s Stadium, and the Linc, among many other Philadelphia area sites. Bill previously enjoyed coaching the Warminster Pioneers Football team, and was an avid bowler. His greatest joy was family gatherings and celebrations, always enjoying grilling and home cooked meals. Relatives and friends are invited to attend his viewing on Thursday, April 11th after 9:00 a.m. in Schneider Funeral Home, 431 N. York Road, Hatboro, PA, followed by his Funeral Service at 10:00 a.m. His interment will follow in Washington Crossing National Cemetery, Newtown, PA. In lieu of flowers, memorials in Bill’s memory may be made to the Lions Eye Bank of Delaware Valley, 401 N. 3rd Street, Suite 305, Philadelphia, PA 19123-4101.